Our next door neighbors had a new baby about two weeks ago, and one of us finally ran into a visiting grandma to find out what color to make the card. Pink it is! I watercolored a background, added stamped pieces on top, finished up with ribbon and sequins. Supplies: Stamps – Clearly Besotted, Stampin’ Up!, paper – Canson Watercolor, Papertrey Ink Vintage Cream, Stampin’ Up! Melon Mambo, Orchid Opulence (retired), inks – Copic E21, Kirarina WiNK White Pearl, Stampin’ Up! Melon Mambo, Orchid Opulence (retired), VersaFine Onyx Black, watercolors – Kuretake Gansai Tambi, dies – Spellbinders (circles), Taylored Expressions (banners), sequins – Pretty Pink Posh, organdy ribbon – JoAnn’s. 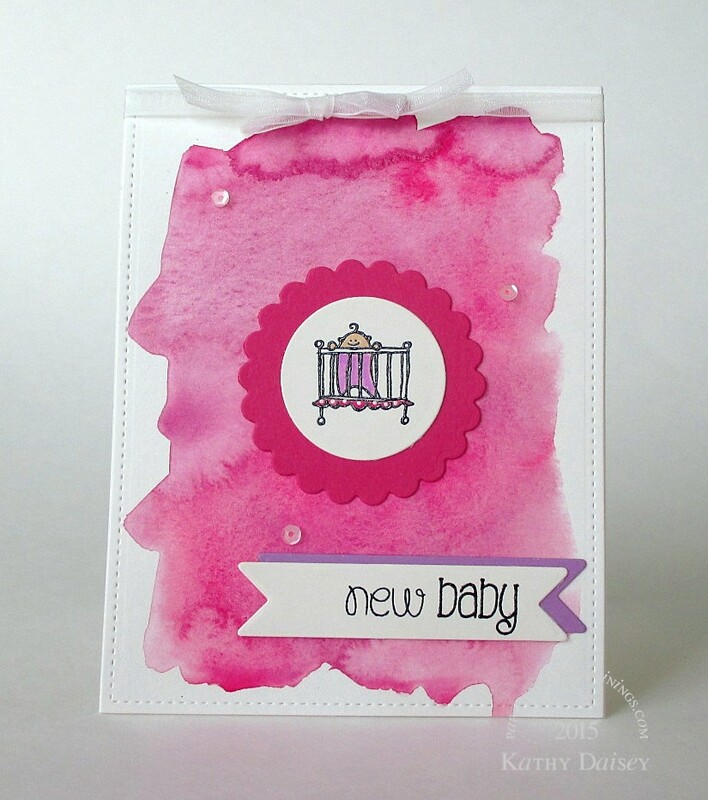 Categories: baby, card | Tags: Canson, card, Clearly Besotted, Copics, Kirarina WiNK, Kuretake, Papertrey Ink, Pretty Pink Posh, Spellbinders, Stampin' Up! | Permalink.